Thank you for visiting our Giving page. The culture of generosity that exists here at Springcreek is a result of people like you choosing to join us in supporting the ministries of the church, both inside and outside our walls. Generosity can change the world. Thank you for joining us in making a Kingdom impact. It's simple, easy, and convenient to give online now through our website or app! For your convenience, swipe your card at one of our four Giving Kiosk stations in the Information Center. To give cash, simply fill out an Offering Envelope and drop it in one of our wooden Offering Boxes located at the back of the Main Auditorium and throughout the lobby. Checks can be dropped directly into an Offering Box... no envelope needed. Consider giving stocks, bonds, land or other assets that might be converted into cash. Contact Gerry Owen or Yadi Gonzalez for more information on this process. Download the Springcreek PushPay App on your phone for an easy way to make a gift. Giving reflects a grateful heart and hundreds of individuals and families give generously and joyfully every week to continue the ministry at Springcreek Church. No matter where you've been or what you've done, you matter to God and you matter to us. We're glad you're here. Each service and event experience is our gift to you, no strings attached. If you're a guest, please feel no obligation to give. But if you want to join with us to make a difference in our community, we invite you to join our members and attenders here at Springcreek who give joyfully with a spirit of generosity. There are several ways you can be a blessing to others and make a Kingdom impact by giving above and beyond your normal tithe offering. Think about the resources that come your way over the course of a year, quarterly or year-end bonuses, incentives, commissions or dividends and how they might factor into how much you could give. Then, simply choose the funds you would like to contribute to and bless from the dropdown menu when giving online. Giving to our "$1 for $1 Building Fund" between May 2018 and May 2019 will allow us all to make a concerted effort to pay off and retire as much of our building debt as possible and free up more resources for ministry impact locally and globally. Your gift will help move us closer to our goal that for every dollar we spend within our walls, we will spend a dollar outside our walls. Serving Communities are dedicated groups of people committed to living life among and serving our community's most vulnerable people groups. By pouring their time, talent, resources, and relationships into ministry to the vulnerable, they live out Jesus' "good news to the poor" and make the Kingdom of God tangible in the margins of our society. Serving Communities are high commitment teams that are dedicated to ministry for our local missions, community partners, and to each other. 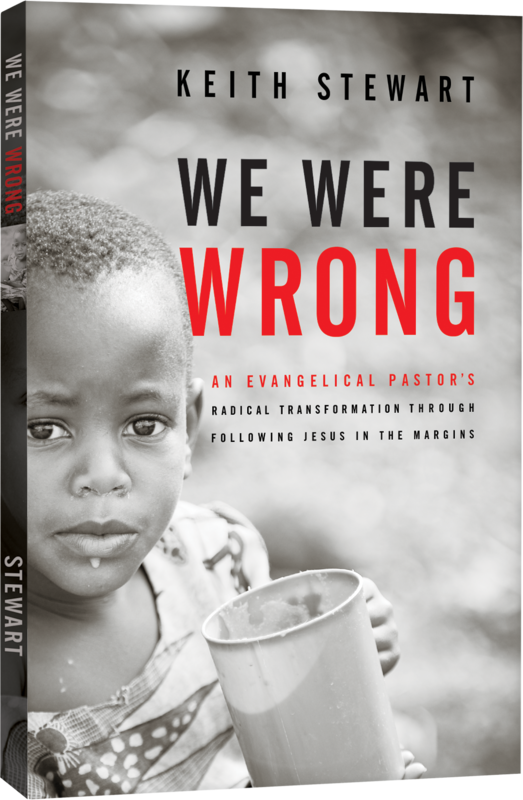 We go where Jesus goes—into the margins of those in need. As a community of diverse and imperfect people, we are on a journey to experience and share the restorative and perfect love of Jesus. God has called us to be agents of hope and healing, to give voice to the most vulnerable, and to champion God's kingdom of love on Earth through our simple acts of service and sacrifice. Join us in making a difference around the world. It is our desire that every child wanting to participate in a Springcreek NextGen event/activity have that opportunity, if possible. However, we realize that personal financial circumstances sometimes make it difficult for families to allow their child(ren) to participate. The generous donations given for NextGen Scholarships allow us all to connect with God's heart for kids in need. Giving to benevolence allows us all to connect with God's heart for humanity in need. We offer accountable assistance for needs within the Springcreek community and in the community around us throughout the year. Please prayerfully consider a gift to the benevolence fund beyond your tithe and regular giving. By doing this you will be engaging in a sense of worship and grace far beyond the gift itself. To make giving faster, easier and more secure, Springcreek has changed the way we give online. Now you can quickly set up one time or recurring gifts! Check out our new online giving through PushPay! In order to make giving easier than ever, we have moved to a new online giving platform. During this transition, all previous recurring gifts will need to be transferred from the old platform to the new platform. Simply cancel your existing recurring giving schedule on the old platform and then set up a new recurring giving schedule using the link below. It's quick and easy! Need us to cancel your recurring giving for you? If you're experiencing trouble, we can help! Click here and we will help you cancel your previous recurring giving. Need to cancel your recurring giving? We’ve made canceling your existing recurring giving schedule simple and easy. Click here to cancel. Generosity can change the world. Thank you for making a Kingdom impact!